Mel Gibson, accompanied by his lawyer Blair Berk, missed the premiere of his new movie The Beaver in order to visit the police station at El Segundo, California where he was booked on a misdemeanor battery charge against his ex-girlfriend Oksana Grigorieva. 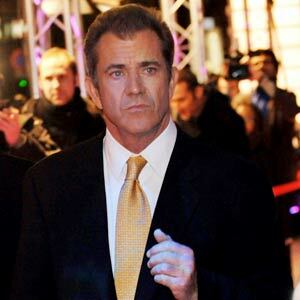 Mel Gibson turned himself in to police in Los Angeles last Wednesday night (March 16). The 55-year-old actor, accompanied by his lawyer Blair Berk, missed the premiere of his new movie The Beaver in order to visit the police station at El Segundo, where he was booked on a misdemeanor battery charge against his ex-girlfriend Oksana Grigorieva. Mel was described by officers as being "pleasant" when they took a mug-shot, had his fingerprints taken, and recorded various details about his physical appearance. Sergeant Dean Howard told the Hollywood Reporter: "He was very pleasant. This is just an old case that the judge wanted him to get fingerprinted for. It isn't anything new. We did it real quick and he was out." Mel and Oksana's altercation stems back to January 2010, but after an extensive investigation he was only charged with the crime last week. He then pleaded no contest in a court hearing last Friday (March 11). As part of a plea deal he had struck, Mel will serve no prison time, but has to complete 16 hours of community service, psychological and domestic violence counselling and probation. Mel and Oksana split in April 2010, and are currently locked in a custody battle over their 17-month-old daughter, Lucia.